"It was great when it all began." Produced for the London stage in 1973, THE ROCKY HORROR SHOW was Richard O'Brien's musical tribute to B-movies, sci-fi, '50s rock, and Hammer Horror, as filtered through the transgressive and camp attitudes rock-opera and punk. A huge success, the play caught the attention of 20th Century Fox, who fast-tracked a low-budget theatrical adaptation. Featuring most of the creative team and cast of the original production - including Tim Curry reviving his much-acclaimed performance -THE ROCKY HORROR PICTURE SHOW was a flop when originally released in September 1975. But the film gained a second life after premiering in the midnight movies program at New York City's Waverly Theater on April Fool's Day 1976. A core audience of rabid fanatics (which included composer Mark Shaiman, of SOUTH PARK and HAIRSPRAY fame) found themselves drawn back to the cinema again and again, and they began singing along, booing at the bad guys, talking back to the screen (the first reported call-back: "How strange was it? "), and even dressing like the characters. Their dedication has helped make THE ROCKY HORROR PICTURE SHOW into the longest running theatrical release in cinema history. "You've arrived on a very special night." Now, at long last, the anitici.....pation is over! 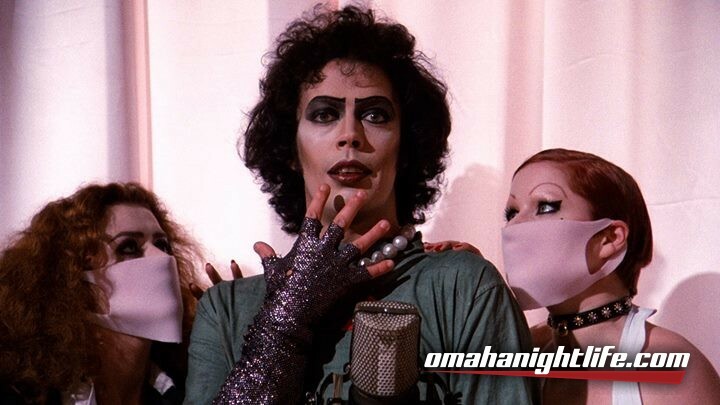 As the cult of Rocky Horror enters its fourth decade, Alamo Drafthouse's 21st-century celebration of the daddy (and mommy) of interactive movies has incorporated new breakthroughs, elusive ingredients, and that...SPARK!, which will make the RHPS experience better than ever! With thrilling props, the most outrageous callbacks, boisterous singing along, and stimulating pre-show games, we want these events to be your ultimate ROCKY HORROR PICTURE SHOW - whether this is your 1st or 500th time. The key to the perfect Rocky Horror screening is to have fun, live the movie, and be the dirty little pervert you always wanted to be, all while remembering to respect your fellow audience members and actually celebrating the film that we're all there to enjoy. We have found that some Rocky Horror screenings end up being a little too focused on the cast and the yelling of callbacks can sound like a crowd of angrily heckling jerkwads, and while there is certainly a time and a place for that, with these instances of this show we're hoping to have a little more of the focus back on the movie.